Prison officials have brought in doctors from the capital Male after jailed former president Maumoon Abdul Gayoom's health worsened, it has emerged. Gayoom's family had repeatedly called on the authorities to transfer him to house arrest over concerns of his ill-health which had thus far been ignored by the authorities. 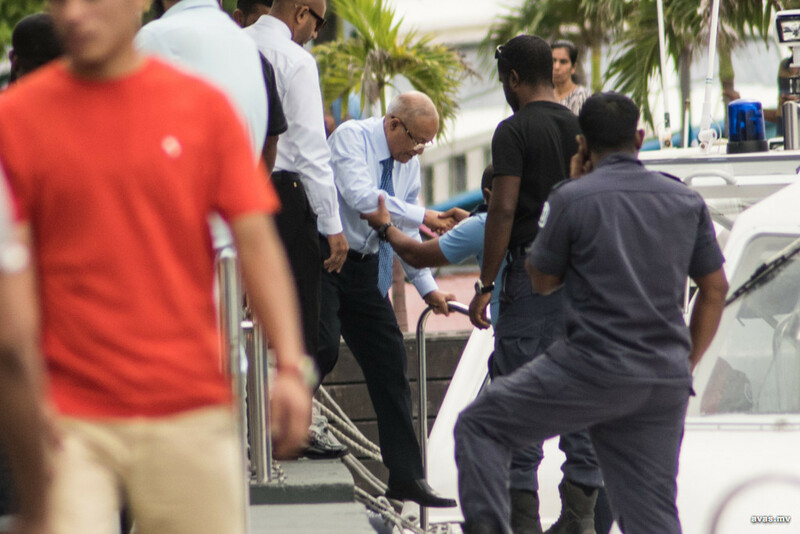 According to a source close to the former president, Gayoom was scheduled to meet his lawyers on Tuesday which was cancelled abruptly. Upon further inquiry, lawyers had found that prison doctors had advised to send Gayoom to the capital Male as his health had worsened late Monday. However, prison officials had decided to bring in doctors from the capital Male to treat the former president. The exact details of Gayoom's health could not be verified as Maldives Correctional Service has been unavailable for comment so far. Gayoom's family had said he was suffering from a condition known as Benign Paroxysmal Positional Vertigo (BPPV) which causes dizziness which has high risk of fall and injury while the attacks has made it difficult to even go to the bathroom unassisted. Maldives correctional service President Maumoon Maafushi Jail + Feb 1 court order Feb 1 "coup"